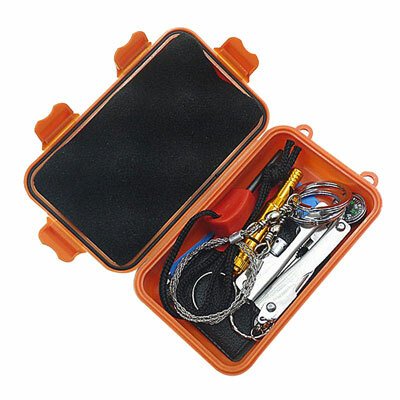 A great companion for your next camping or fishing trip or as an emergency kit for long car trips, the Multitools Outdoor Survival Kit has everything you'll need to get the job done! 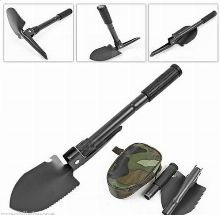 In addition, a handy 6-in-1 plier offers a built-in wire cutter, saw, bottle opener, flashlight, screwdriver, and pocketknife. 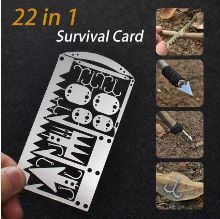 There's also a multi-function stainless steel tool card with a can opener, knife, straight screwdriver, ruler, bottle opener, three different wrench styles, and a small saw.